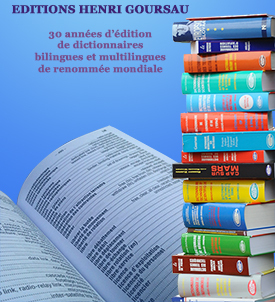 This is the dictionary that reunites the 55 principal regional languages of France. Approximately 100 eminent linguists and dialect speakers, whose names are cites at the very beginning of the book, collaborated on the extraordinary work, the first of its kind to be published in France. In alphabetical order, you will find in this book some 200 simple phrases and questions for everyday life that will permit you to communicate in local dialects and Creole in France and French territories. A pleasant way to contribute to a better understanding of these so-called minority languages and to render them alive. All of these languages have been transmitted orally, from generation to generation, in families since the Middle Ages. The aim of this book being to bring back to life these languages that belong to the patrimony of France and which contribute to the richness of our country and to her cultural shining. How do you say « hello », « goodbye », « see you soon », « thank you », « please », « excuse me », « pardon me », « how are you » in the 55 languages, dialects and patois of France ? How do you ask for directions, where to eat, what to visit, how to get a taxi or bus, how to find the train station, the airport, a hotel, a bank, a museum, the city center, or an address, and so much other useful information in the local language ? This dictionary gathers the essential phrases to be understood abroad. It allows you to exchange, meet people you wouldn't have without this book. The only one of its kind on the market, it is a dictionary of reference designed to only bring you the essential. This work is addressed to anybody of the French language who desires to communicate or to exchange in the regional languages. The best means to maintain a language being to speak it, to make it known and to transmit it to the younger generations by modern methods.